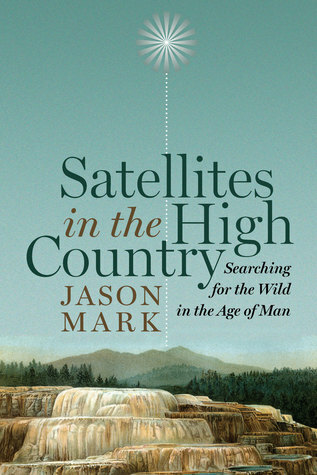 Satellites in the High Country is a collection of seven essays by journalist-adventurer Jason Mark. Mark asks the question “What is wilderness?” and wonders if ‘wilderness’ might be different from ‘wildness’ and the seven essays here have him looking for wildness or wild places where one might get away from the touch of mankind for jut a short amount of time. Each essay recounts a hike or exploration of a wildness area and opens up a question or questions that Mark explores by way of his time in the particular wildness area. Two such questions are: Can Man and his modern work co-exist alongside wildness areas; and should Man interfere when trying to restore an eco balance in wild areas? Mark has some strong opinions on the matter, though he tries to not be too obvious in his opinions, instead leading the reader to hopefully come to the same conclusions. I found the first three or four essays quite interesting and compelling, but the last few felt much more didactic – as though Mark realized he was on to something with the earlier essays and instead of writing from the heart wrote more from the head, methodically and carefully. In fact, it seemed as though he was on more of a mission to find a story (The reintroduction of wolves…is it good? Is it bad? Children on a ‘forced’ outing into the wilderness…is it good? Is it bad?) instead of taking the hike and seeing where it leads and what thoughts come to mind. There are some great reflections here and at times Mark captures it perfectly with simple sentences that I am likely to quote for years to come (“The clatter of civilization is so commonplace that it has become, literally, background noise.” “In a little more than a century, we have changed the pitch of the planet.”). Yet I definitely prefer the Adventurer Jason Mark to the Journalist Jason Mark. In many ways this is the sort of book that ‘preaches to the choir.’ My environmentally friendly/activist friends will appreciate what is here, but it’s not likely to make new converts. That’s okay … sometimes we just need a little meditation on wildness. But if anything, I’d say that I found the realizations here quite depressing. Looking for a good book? Satellites in the High Country by Jason Mark is a collection of essays exploring the authors attempts to discover wildness in the United States.